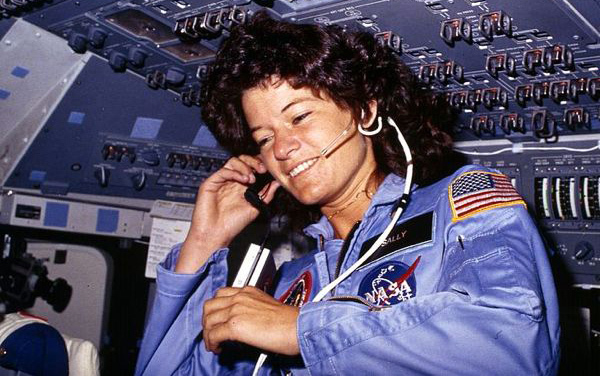 Sally Ride, professor emeritus of physics at the University of California, San Diego and former director of the University of California’s California Space Institute, died July 23 of pancreatic cancer. She was 61. Ride was a physicist, the first American woman to fly in space, the co-author of seven books about science for children, and founder, president and CEO of the educational company Sally Ride Science. Ride was selected for NASA’s astronaut corps in 1978 and became the first American woman in space aboard Space Shuttle Challenger in 1983. During that flight and her second spaceflight aboard Challenger in 1984, she deployed communication satellites, operated a robot arm and conducted experiments in materials, pharmaceuticals and Earth remote-sensing. After retiring from NASA in 1987, she became a science fellow at the Center for International Security and Arms Control at Stanford University. In 1989, Sally joined the faculty at the UC San Diego as a professor of physics in 1989 and was director of the California Space Institute from 1989 to 1996. She retired from UC San Diego in 2007 and now holds the position of professor emeritus. “Especially in her last years at the space institute, Sally was really dedicating herself to promoting and education young scientists, particularly women. That will be her legacy, the difference she made for this country,” said Michael Wiskerchen, director emeritus of the California Space Grant Consortium, who worked with Ride on a number of projects including EarthKam, which allows school students across the country to order satellite images of Earth. The Sally Ride Pancreatic Cancer Initiative at UC San Diego’s Moores Cancer Center has been set up in her memory. Donations can made online, or checks made payable to the UC San Diego Foundation with Sally Ride noted in the memo line can be sent to Pam Werner, Health Sciences Development, 9500 Gilman Dr. #0853, La Jolla, CA 92092-0853. You may also contact Pam Werner at (858) 246-1556.